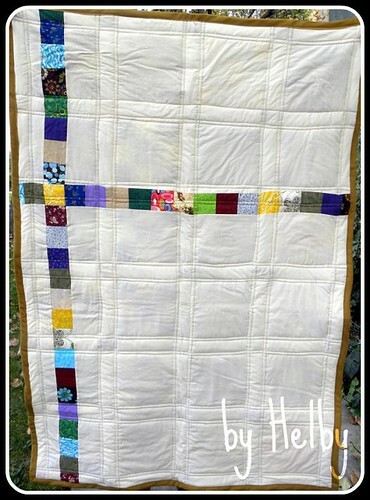 Wow - I can't believe I started these scrap quilt squares over two years ago! I almost forgot about them until I received an email from Craftsy.com. The goal: Collect 1,000 quilted blankets by December 15th for Project Linus. 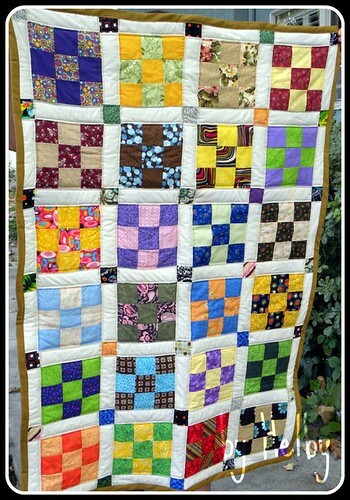 Well, I practically have the quilt half done. I already had about 20 squares. Why not put them all together and donate it? Project Linus is a nonprofit group with chapters all around the country that collect homemade blankets for millions of children in need. So why not? Tis the season to think of others, right? While piecing the squares and borders, I realized just with the few number of quilt projects I've done since then, I've become a much better quilter. My corners are sharper, my measurements better. And it only took two years! Finally, it has all come together. And off to the post office it goes!